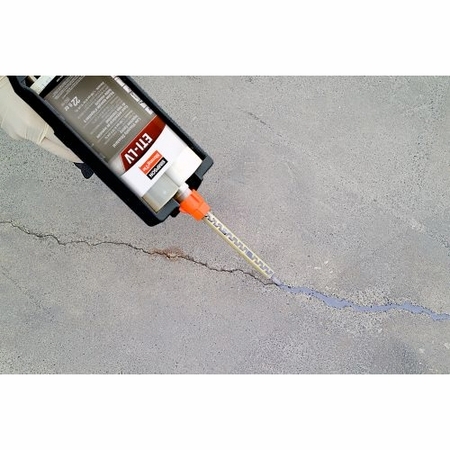 Home / Simpson Strong-Tie /Concrete Repair & Protection Products / Simpson Strong-Tie ETILVKT2 Low-Viscosity Injection Epoxy Bulk Kit, 2 gal. 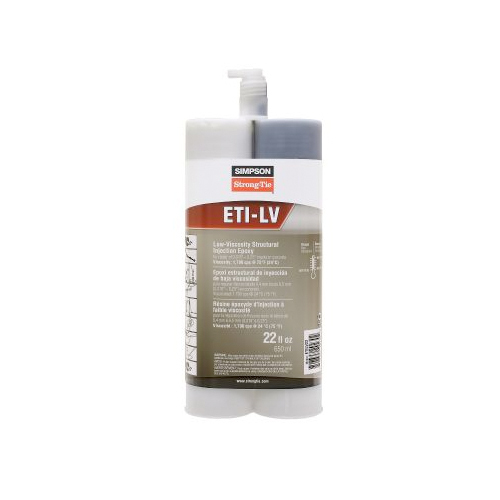 Simpson Strong-Tie ETILVKT2 Low-Viscosity Injection Epoxy Bulk Kit, 2 gal. ETI Injection Epoxies are two-component, high-solids formulations for the injection into cracks in concrete. Dispensed through a static mixing nozzle using either a manual, battery-powered or a pneumatic dispensing tool, these epoxies provide a waterproof, high strength (structural) repair. Cartridge Size: ETI-LV Low-Viscosity Injection Epoxy Bulk Kit, 2 gal.